On June 17th, SCDI will host a conference on the future of blockchain in the public sector. 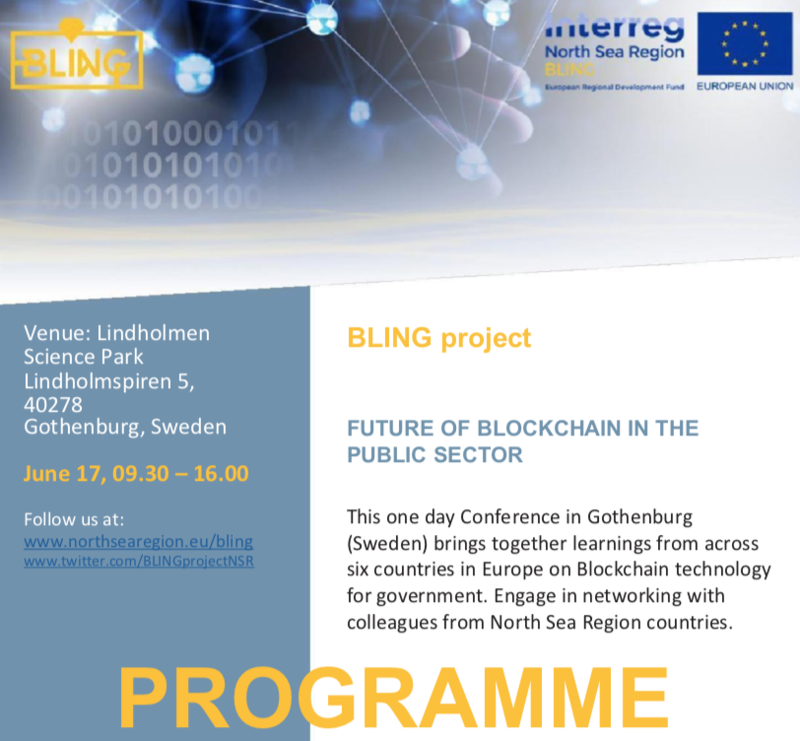 The conference is part of the BLING project, where we will create and research blockchain applications for the public sector. During the conference, you will get the chance to listen to some of the leading experts on blockchain. The conference is free-of-charge and will be held at Lindholmen in sunny Gothenburg.